The Encyclopedia of Domestic Violence is a modern reference from the leading international scholars in domestic violence research. This ground-breaking project has created the first ever publication of an encyclopedia of domestic violence. The primary goal of the Encyclopedia is to provide information on a variety of traditional, as well as breakthrough, issues in this complex phenomenon. The coverage of the Encyclopedia is broad and diverse, encompassing the entire life span from infancy to old age. The entries include the traditional research areas, such as battered women, child abuse and dating violence. 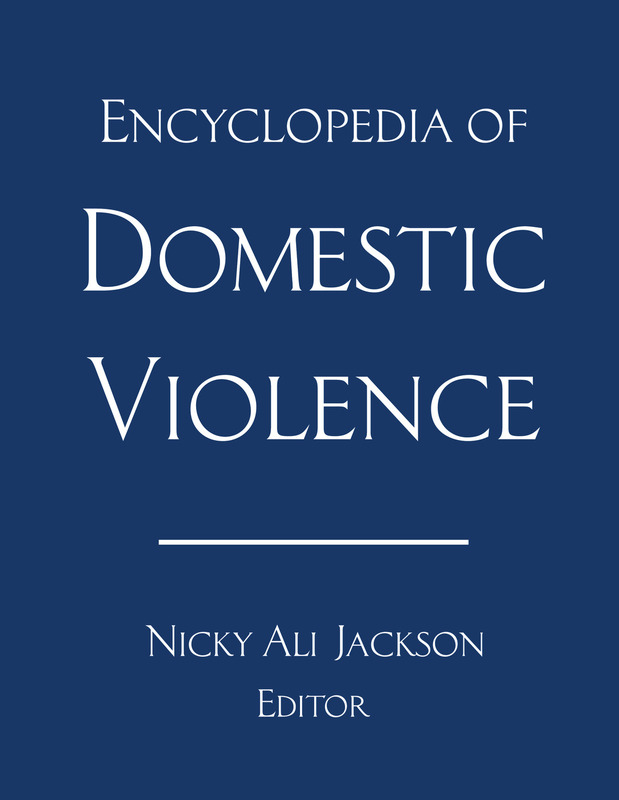 However, this Encyclopedia is unique in that it includes many under-studied areas of domestic violence, such as ritual abuse-torture within families, domestic violence against women with disabilities, pseudo-family violence and domestic violence within military families. It is also unique in that it examines cross-cultural perspectives of domestic violence. One of the key special features in this Encyclopedia is the cross-reference section at the end of each entry. This allows the reader the ability to continue their research of a particular topic. This book will be an easy-to-read reference guide on a host of topics, which are alphabetically arranged. Precautions have been taken to ensure that the Encyclopedia is not politically slanted; rather, it is hoped that it will serve as a basic guide to better understanding the myriad issues surrounding this labyrinthine topic. Topics covered include: Victims of Domestic Violence; Theoretical Perspectives and Correlates to Domestic Violence; Cross-Cultural Perspectives and Religious Perspectives; Understudied Areas within Domestic Violence Research; Domestic Violence and the Law; and Child Abuse and Elder Abuse.